For New York Giants fans young and old! Go Big Blue! The New York Giants is one of the most colorful teams in professional football—and one of the winningest, too. Since the franchise was established in 1925—creating New York’s very first football team—they’ve won seven NFL titles, including their thrilling surprise victory against the New England Patriots in 2007. 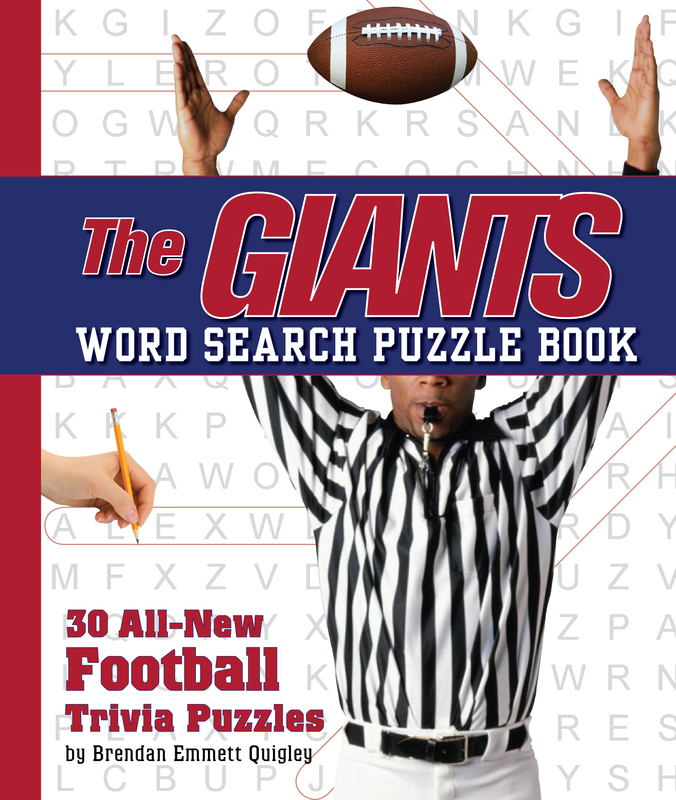 These word searches include all the greats and all the favorites, from Mel Hein, Frank Gifford, Charlie Conerly, Y. A. Tittle, Sam Huff, and Phil Simms to Michael Strahan, Tiki Barber, Mark Bavaro, and Lawrence Taylor—and and many, many more! What a great way for Giants’ fans to challenge their team smarts.